In your daydream of a home outside of city limits, maybe you envisioned acres of land, an old creaky house, even the brightness of the stars at night. What may not have made it onto your vision board is the maintenance, smell, and taste of well water. More than 15 million homes in the US rely on private wells to supply their homes with water for everything from laundry to cooking, and with proper maintenance, this is usually perfectly safe. Maintenance, however, is the sole responsibility of the homeowner. This means if you aren’t proactive in the monitoring of your water, the quality of your home’s supply could quickly suffer. Softening of the water is almost always necessary for the longevity of your home appliances, integrity of your clothing, and to make it… well. More palatable. There may be much more to your well water than H2O. While finding potable groundwater isn’t necessarily difficult, understanding what it is and how it got to you matters. 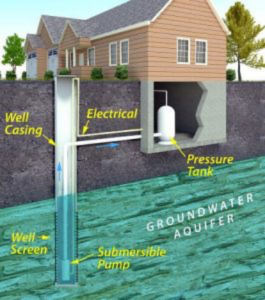 Most well water is obtained by drilling into deep aquifers, which are underground rock formations that draw rain and other groundwater out of the soil. A pump is then installed to draw the water up to your home. The journey your water took through rock, soil, and sediment is the closest it has come to purification, and depending on your soil, it may have picked up a few unwanted guests. Given time, water can carve through mountains. Considering this, what other dissolved organic matter do you suppose you might find in an untreated supply? Minerals like calcium and magnesium are almost always found in well water, with the exception of regions where the soil contains very little of these minerals. While they aren’t harmful to your health, they are the elements that make your water hard. If you have purchased an existing home, it’s possible that the former owners installed a water softener on their own, as well water is almost always found to be exceptionally high in mineral content. If your new home is equipped with a softener, be sure the equipment is up to date and well maintained! Ask the former owners for pamphlets, manuals, brochures, and maintenance records for the systems, and feel free to have an inspection done on the unit. If you are building a new home without access to municipal water, a softener is highly recommended. Consider a free water quality analysis to better understand exactly what you’re treating your water for, and what system might be best for you. 3. Hard Water Really Stinks. Really. 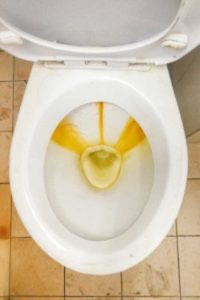 Stains on clothes, fixtures, sinks, tubs, and toilets are likely the result of mineral build up. Iron and lime scale can be very difficult to scrub away, and shortly after you’ve managed to remove it, it’s already rebuilding. Not only is it unsightly, it’s also likely building even more out of sight. Pipes can develop a thick scale layer, causing weakness in the structure. This can lead to foul taste, smell, and even weakness in the pipe. Pulling your favorite blouse or your baby’s blankets out of the wash to discover rust stains can be defeating. Consider the Impression Series® Air Filters and Impression Plus Series® Air Filters, which focus specifically on oxidizing dissolved iron, and removing it before it can ruin your day. This filter also removes sulfur, which is the culprit when your water smells of rotten eggs. Knowing your water’s quality is important before choosing a softening or filtration system. Specific media may be introduced for especially problematic supplies, such as Crystal-Right™, which can remove even the strongest sulfur and iron issues. It softens water as it filters, offering you the cleanest, most delicious water in just one move! Minerals are really a nuisance. From smells to stains, they would annoy a saint, but is there more lurking in your water than eggy odors, calcium deposits, and rust stains? While your underground well is protected from many common pollutants, it’s still very possible to become contaminated. In addition to naturally occurring bacteria, your supply may be harboring elemental contaminants like uranium, radon, and arsenic. For a little insight into common water concerns in your region, you can click on the following link, or contact your local water quality experts. Living on or near a farm is a slice of Americana most people will never have a chance to enjoy. What you might not have considered would be part of the deal was the possible agricultural runoff. Those fields of gold may be harboring mold, or worse. Insecticide, fertilizers, and weed killers can pose a threat to your water supply. The location of your home’s septic tank may also be a cause for concern, as even minor damage or weakness in the tank puts ground water at risk. Elevated levels of Nitrate, a major contamination concern in areas of agricultural runoff, pose a health risk to young children, the elderly, and pregnant mothers. Learn More Here about the EPA’s concerns. While this all sounds scary, there are actually very easy remedies. A Reverse Osmosis water filtration system designed to reduce or eliminate trace elements, heavy metals, and bacteria is easily installed in your well water system, providing clean and healthy water straight from your tap! Curios how it works? It’s not magic! Learn more about the process here. Time changes everything, including your water’s quality. Regular testing is the best way to ensure your supply is healthy, and to detect rising levels of trace elements or bacteria contamination before it becomes a health issue. 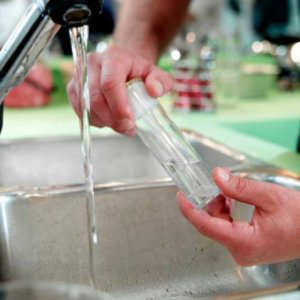 The EPA recommends yearly water testing for E.coli and coliform. It is also suggested that you test for radon, arsenic, iron, manganese, nitrates, and other volatile compounds. This isn’t required by law but is strongly recommended. If you notice independently that your water quality has changed, it’s a good idea to have your water tested again. Any change in water taste, smell, or quality could signal an issue that needs to be addressed. DIY Home Tests are available, and if you opt to go this route, it’s important to know exactly what your testing kit is able to detect and measure. Many elements are safe and some are even beneficial is measured amounts, so knowing what levels are safe is also key to a proper reading. Water-Right, Evolve, and WaterCare experts all utilize our state-certified Clean Water Testing laboratory to achieve the best understanding of your water’s quality. The results will be shared with you, and a Water-Right professional will review the results with you at your convenience, helping you come up with the best water-treatment plan for your home. 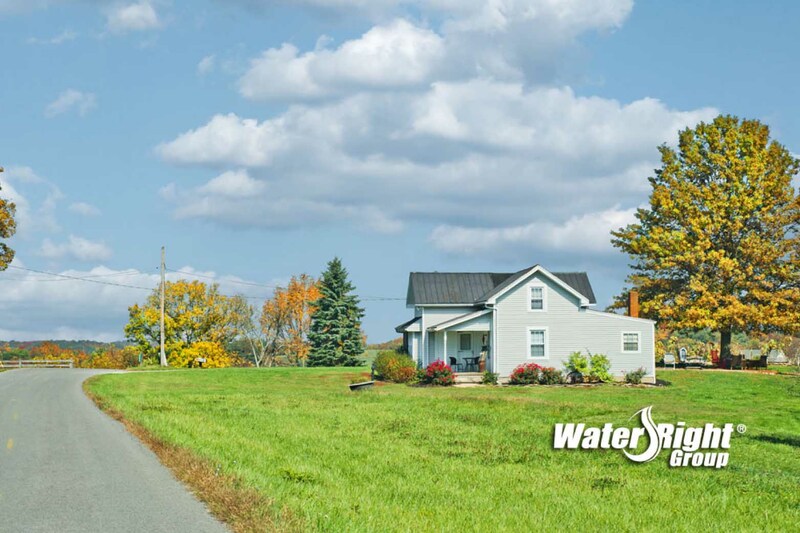 When you’re considering building or purchasing a home with an on-site well, it’s important to be proactive about the safety of your water. Investigating regional water issues and researching runoff and industrial activity in the area can help you avoid any surprises, and to anticipate filtration and softening needs. If your home has an existing well, it’s important to research the history, and to obtain all records of service and maintenance on the well. Identifying what maintenance your well has already required can help you understand the issues your potential home faces. This also helps you understand your well’s capacity and flow rate, ensuring you have the supply your family will need. Asking your new neighbors about their home’s filtration needs can shed some light on your neighborhood’s water quality, but it’s possible to have huge variances from one well to the next. Professional testing isn’t possible for you, inquire of the home’s former owners what methods they used to treat the water for a better understanding of your specific needs. With the right filtration system and water treatment team on your side, your country will run like a well-oiled machine! Visit the out website at www.omahawater.com to learn more or give us a call at 402-453-5730.